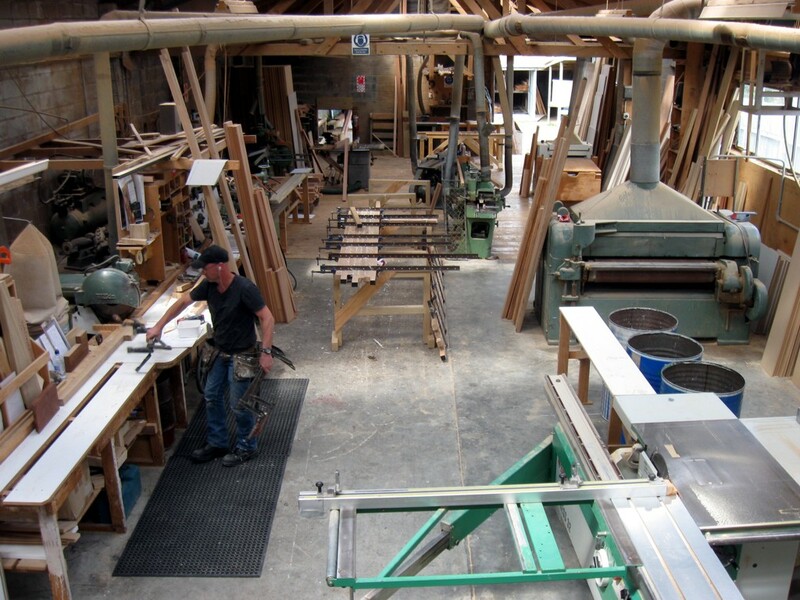 Wainui Joinery has a dedicated team of tradesmen and artisans working on-site all around the Greater Wellington region and from our factory premises in Wainuiomata, Lower Hutt. Founded in 1960 (then incorporated 4 years later in August, 1964) Wainui Joinery Ltd has delivered high quality joinery services to satisfied customers in the Wellington region for over half a century via their growing and impressive team of qualified joiners and cabinet makers. 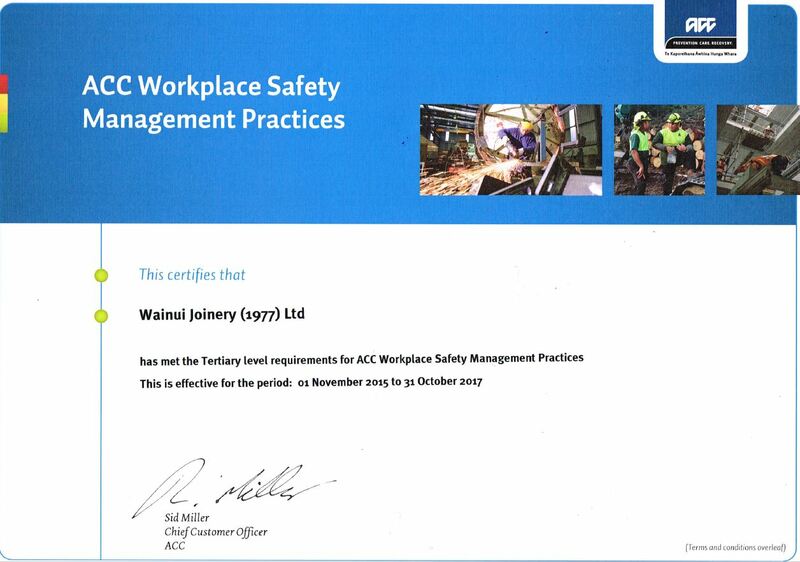 We are accredited members of the New Zealand Master Joiners' association known as the NZ Joinery Manufacturers’ Federation. 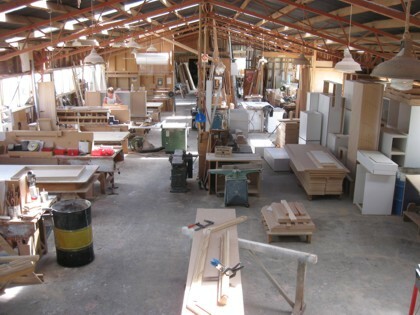 The NZ Joinery Manufacturers’ Federation is made up of joiners living and working throughout New Zealand. The Federation encourages competition and the pursuit of excellence between and from its members, their employees and apprentices. 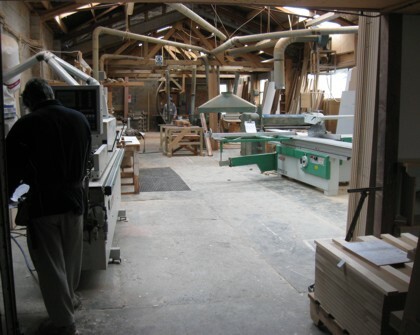 Interior views of Factory Two - Wainui Joinery. 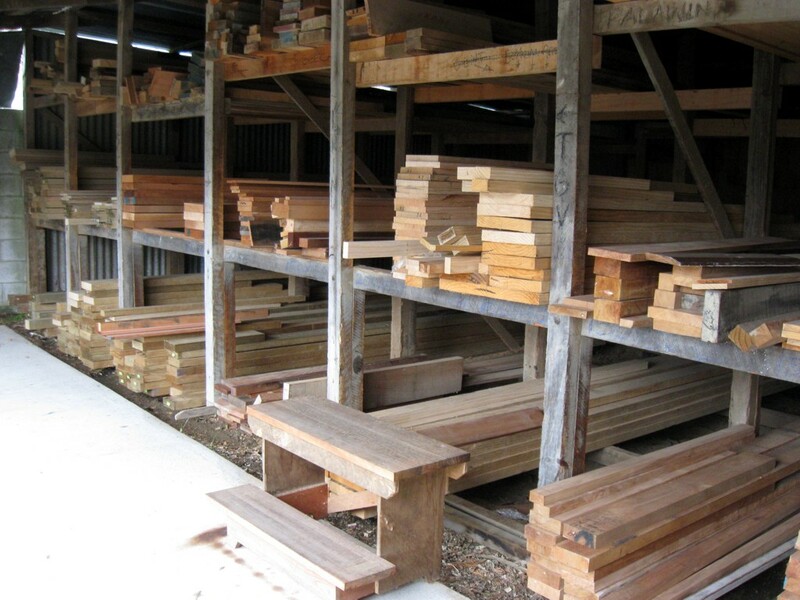 This area is where much of the raw material is machined and processed. Wainui Joinery's Factory One is where most components are assembled and stored before delivery and installation on the customer's site. Our fully-equipped and extensive workshop facilities extend to both sides of Burden Avenue in Wainuiomata. 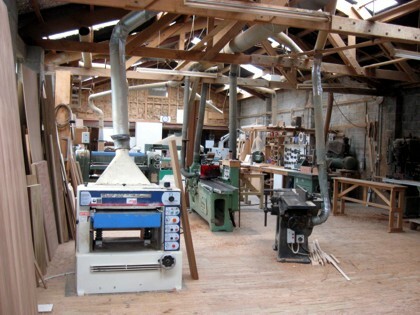 The administration building and Factory One - Wainui Joinery at 34 Burden Avenue, Wainuiomata. It is primarily used for project fabrication, assembly and the temporary storage of sub-components prior to being installed on-site at the client's premises. Factory Two is on the opposite side of the road from the administration offices and houses much of the machinery required for a modern joinery. Inside Factory Two at Wainui Joinery - View from the mezzanine level. The timber storage racks in the yard behind Factory Two at Wainui Joinery.